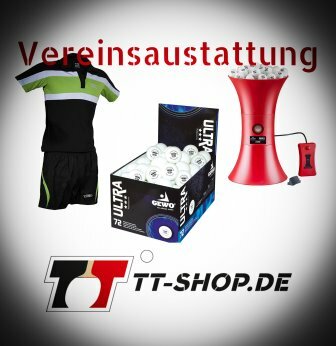 The latest confusion regarding table tennis plastic balls also affects TIBHAR´s customers. We must confess that the range of products regarding Tibhar table tennis balls (including celluloid balls) is not overloaded and quite clear. You only need to get familiar with table tennis balls. 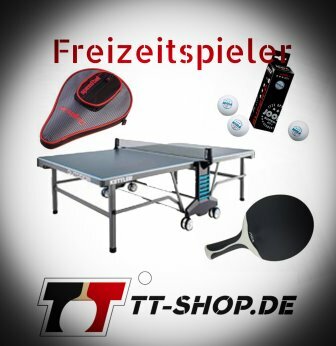 To shorten your effort of research on this topic, TT-SHOP.COM divided all Tibhar table tennis balls into certain categories, which is clearly presented in an advising text. For NOW, prepare yourself and read through our guide in order to make the best possible decision when buying articles! Tibhar provides balls for official tournaments and competitions "made in Japan", and "made in China". Qualitatively, the balls coming from Japan are better compared to the balls made in China: They are more durable and slightly harder. The bounce behavior of the ball is very even, therefore, regarding quality, we recommend the (somewhat more expensive) JPS balls. Tibhar JPS 3 Star (Made in Japan): Available in packs of 5, and 100 balls. Tibhar 3 Star (Made in China): Available in packs of 3, and 72 balls. 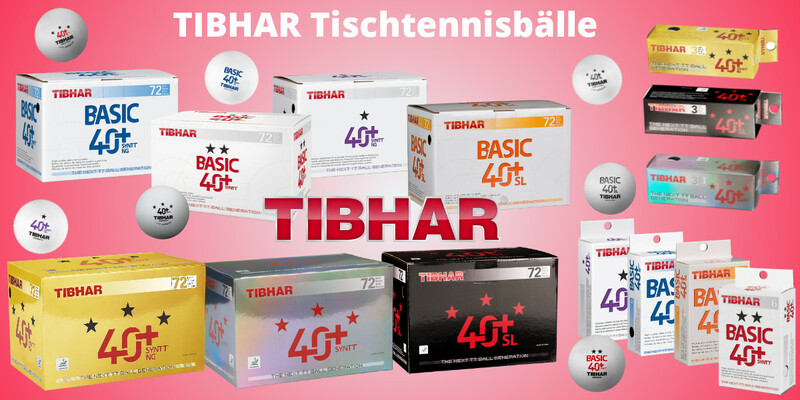 Tibhar Basic: Available in packs of 6, and 72 balls. Regarding plastic balls, there is an overall confusion. We think that Tibhar solved this problem in a positive manner: For each type of ball, Tibhar introduced a corresponding training ball to the market. In terms of the gaming properties, the first generation of plastic balls is the closest one to the good old celluloid balls. Unfortunately, the first batch of these plastic balls exhibited much wear and tear. However, this disadvantage was improved considerably. The Tibhar Syntt is to most spinny of all types of plastic balls. The second generation of plastic balls is equipped with so called ABS material (acrylonitrile butadiene styrene). For this reason, such balls are labeled with "ABS technology" in our shop. The largest advantage of these balls is that they exhibit a significantly improved durability. However, ABS balls are slightly less spinny. 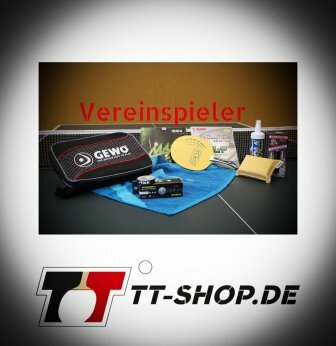 Balls for competitions/tournaments: Tibhar SYNTT NG (with seam, ABS technology). Balls for training purposes: Tibhar Basic Syntt NG (with seam, ABS technology, identifiable by the blue font). The Tibhar Syntt NG is always a bit less spinny compared to the Syntt (1st generation). However, the Syntt NG offers a better durability since the material used for this plastic table tennis ball is ABS. The designation "SL" corresponds to seamless. The Tibhar 40+ SL exhibits less spin compared to both the Syntt, and the celluloid version. The manufacturers optimally arranged the Tibhar table tennis balls. Hence, and in addition to some advice, it is not too difficult to keep the overview. We hope that we reached this aim! Still, at this time, we do not want to give you a concrete recommendation YET. Our recommendation is it to test the balls. For this purpose, we compiled a reduced test set of Tibhar plastic balls for you, which can be found following THIS link. The Tibhar Syntt plastic table tennis ball is ITTF approved. Good quality meets fair prices!